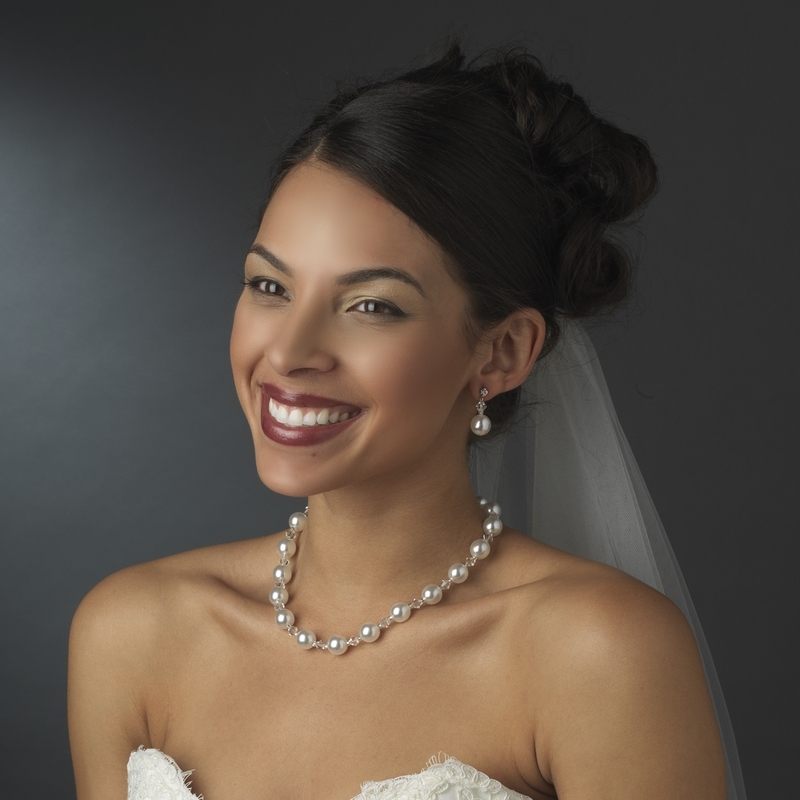 Sparkling and gleaming, this necklace, earring and bracelet set features exquisite silver plating, clear Swarovski crystals and white faux pearls. A chic addition to your wedding, prom or homecoming. The necklace measures 16� long with a 2-1/4� extender and lobster claw clasp. The earrings measure a subtle 1�. Charming and classic, the bracelet measures 7" with a 1" extender.